Deciding on the right school for your child is the most important decision for a parent and we hope that you find the information you require on this website. If your child was born between 1st September 2014 and 31st August 2015, you will need to apply for a Primary Reception place, commencing in September 2019. We admit up to 60 children into Reception each September. 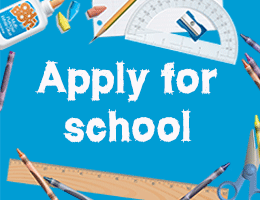 In order to apply for a place at our school, you must register with your home local authority. Our school is part of Wokingham Borough Council. As we are a Catholic School, you are required to complete a supplementary information form (SIF) which is available in the admissions forms section below (if applicable). The SIF is handed in directly to our school office - it is separate to the online form. All applications are welcome. Our children come from a variety of faiths and backgrounds and we cover a wide geographical area. Places will be allocated at this school as in previous years i.e. applications will be considered by the governing board according to our published admissions policy. Baptised Catholic children are given first preference. Baptised Catholics must complete the SIF to be placed in the top categories according to our admissions policy. If you do not complete the supplementary information form, together with all supporting documentation, by the closing date of Tuesday 15th January 2019, your child will not be placed in the appropriate faith criteria and this is likely to affect your child's chance of being offered a place. The national deadline for primary school applications is Tuesday 15th January 2019. You can still make changes to your decisions up to this deadline.